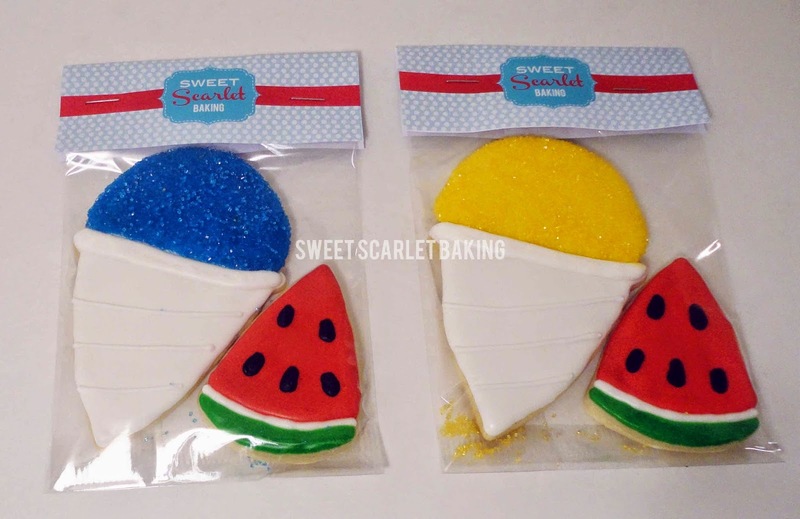 Sweet Scarlet Baking: Cool Treats! decorated sugar cookies are just as sweet as the real thing. 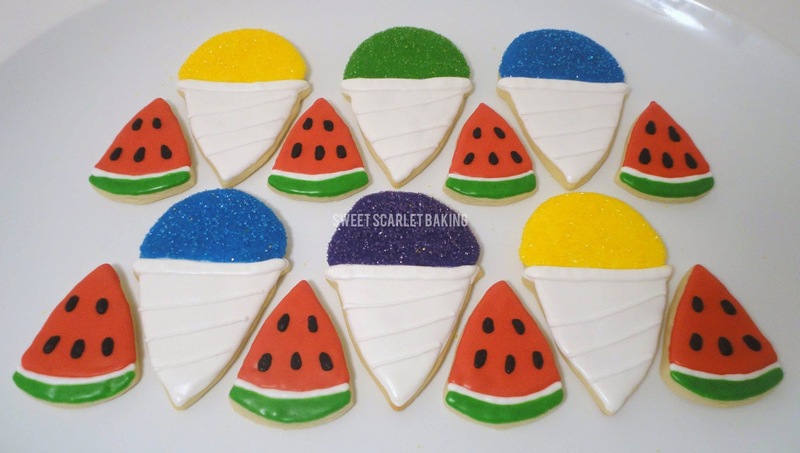 My customer wanted to give a thank you gift to her summer camp volunteers and asked me to make whatever design of sugar cookies that I wanted. 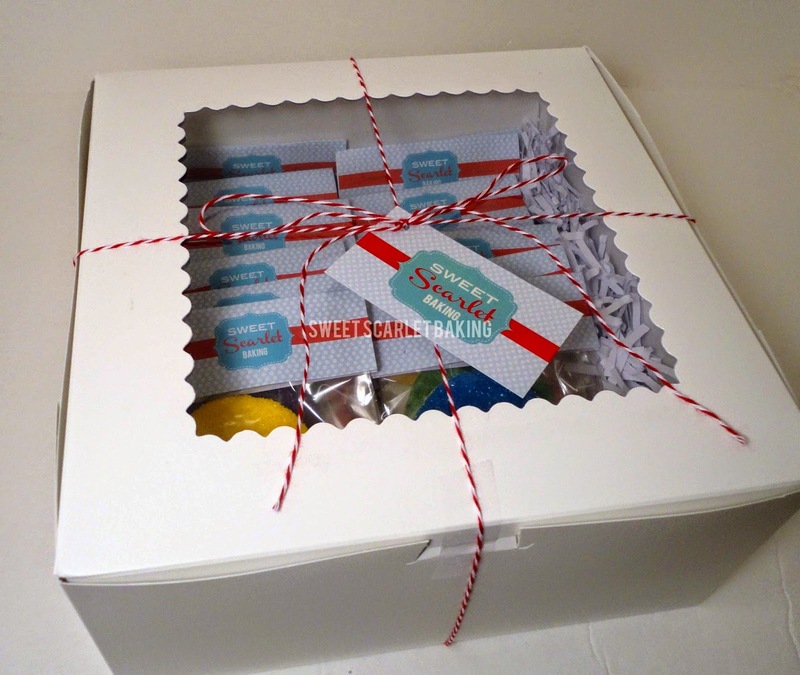 I love it when I get to surprise people! 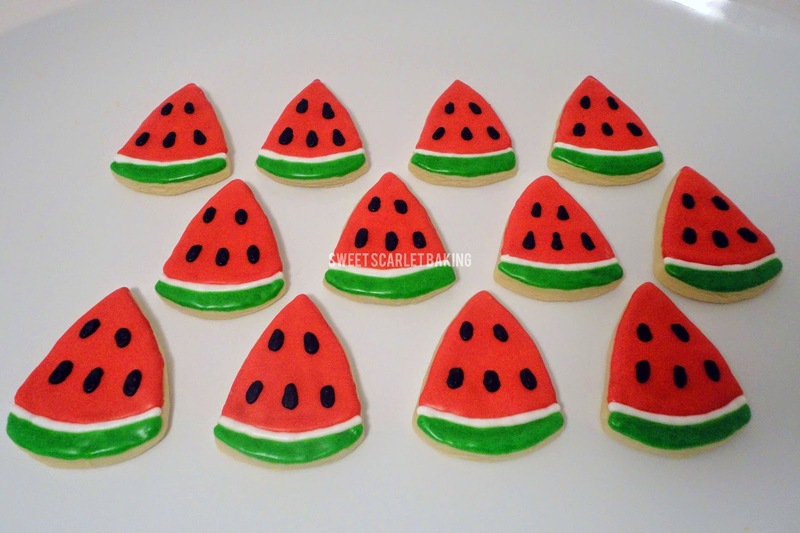 Since the kids (and volunteers) at the summer camp consume enormous amounts of sno-cones and watermelon slices, I thought that these cookies would be perfect. 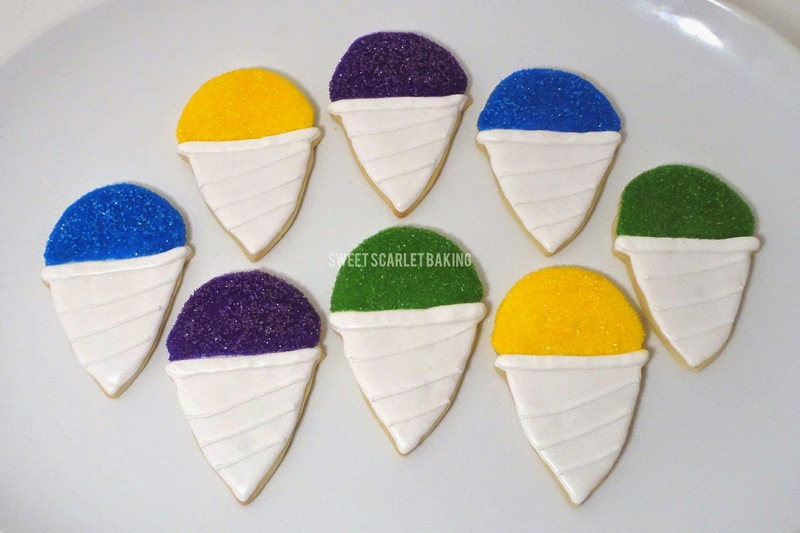 I added colored sanding sugar to the top of the sno-cone decorated cookies to make them sparkle and crunch, just like ice. 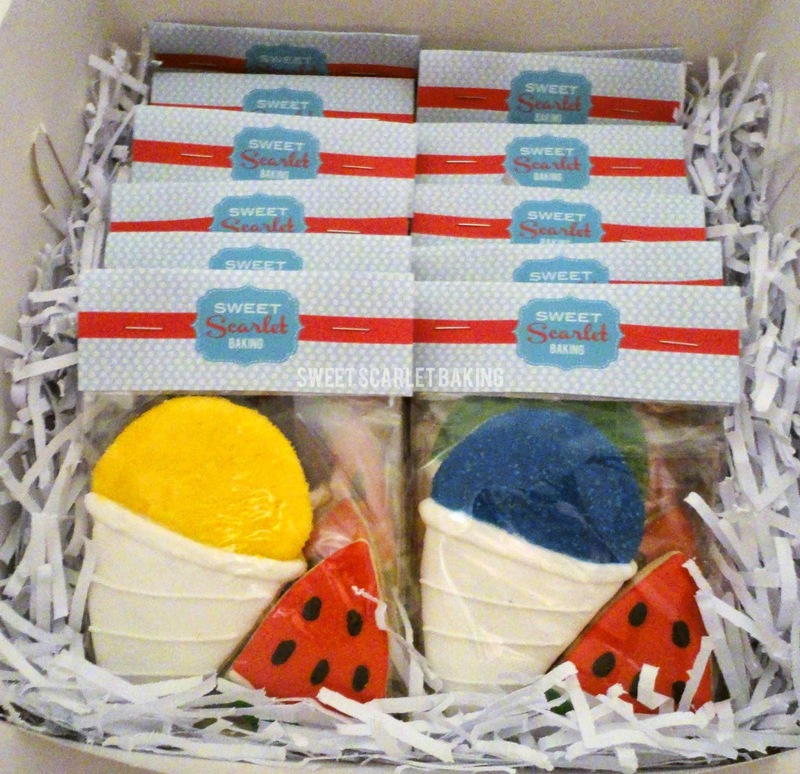 Each volunteer received their own gift bag with one of each cookie.